A first of it’s kind for multisport in South Africa, the BIG5 Sport Challenge Club Champs will see the best multisport clubs race against one another at the annual Pick n Pay Knysna Oyster Festival. The festival and sport events open to the public on Friday, 3 July 2015 and finish on Sunday, 12 July 2015. This new program is designed to help clubs drive their membership; provide networking opportunities, and a sense of friendly competition. There is no other platform of its kind in South African multisport events. Participation in the Club Championship is free of charge to athletes and falls part of the overall BIG5 Sport Challenge. All sport clubs and multisport clubs registered to a relevant governing body of their sport are eligible to enter. Multisport clubs provide an incredible sense of community and a sense of “belonging” to their members. The BIG5 Club Champs is designed to help clubs drive their membership, provide networking opportunities within the club community and to also provide a club competition that will allow clubs to compete for free entries, VIP passes to events and podium status to help foster the team environment. Together with Multisport clubs and athletes, the event organisers worked on a feasible platform. Says Steve Attwell from ATC/ Embark in Cape Town: “’The Big5 is annually an event we look forward to, and each year we see more of our ATC members attending and competing. By embracing the multisport clubs I think it will reposition the event into a proper national if not international event. Already our active members are entered and we have arranged accommodation so we can all stay close together to really enjoy the best 10 days of winter. From the detailed information already up about the event it looks like it will be a cracking affair that will become the ‘must do’ multisport event in winter”. Athletes will be racing together with their club team members, to collect points in each event they finish to help the club team move up the leader-board. Club members not entered into the BIG5 Sport Challenge who would like to get together with their club team members onsite and socialise with other club athletes can join in and support at all the individual events and enjoy the atmosphere. All finishers in every event will gain 5 points for their club. Position 1-50 finishers will gain additional points for their club. The winning club will be the Club with the highest points tally at the end of the BIG5 or BIG5 Lite Sport Challenge and will be recognised at the final awards evening on 11 July 2015.  For every TEN (10) club members entering the BIG5 or BIG5 Lite Sport Challenge, clubs will be awarded ONE (1) FREE entry to use as they wish. Previous Previous post: Race week is here – Get packing!